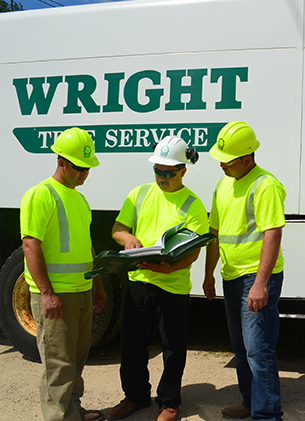 In addition to manual and mechanical line clearance crews, Wright Tree Service employs qualified work planners for a streamlined vegetation management process. Our work planners are a great intermediate solution if you lack in-house staff but don’t have quite enough work to demand a third-party inspector. Our work planners are trained and certified professionals with industry knowledge and outstanding customer service skills. We also have access to the latest work planning software through our sister company Terra Spectrum Technologies.